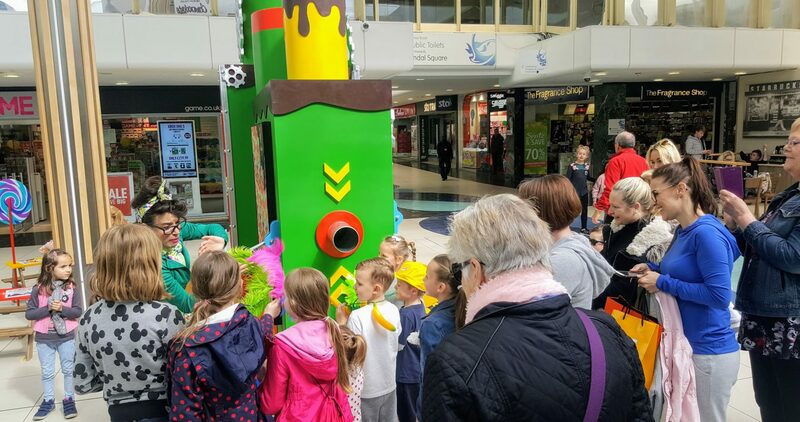 When we were asked to create a remarkable Easter experience for High Chelmer Shopping Centre, we turned to the master of all confectioners, Willy Wonka, for inspiration. 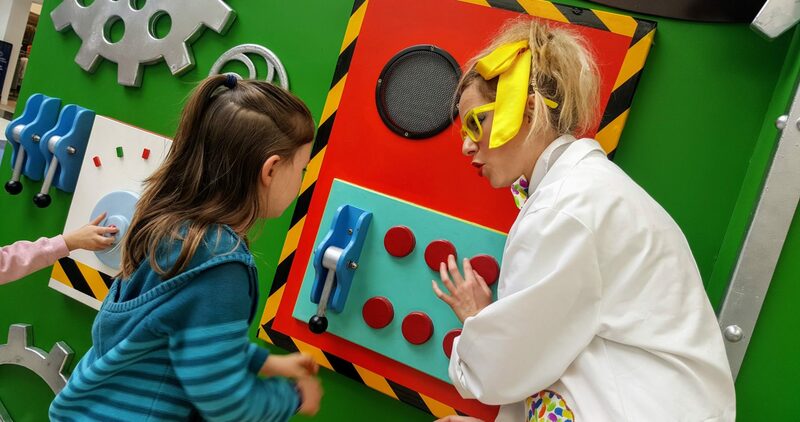 The result, our marvellous whizz-popping, candy-chugging Chocolate Factory brought laughter and delight to hundreds of children who celebrated Easter 2017 in style! Over 800 people engaged with the event over two days. Through theatre style immersive story-telling our energetic team of Chocolate Innovators created wonderful scenes against the backdrop of the Chocolate Factory. Children were transported to a world where chocolate was not just chocolate anymore but a vehicle to allow your imagination to soar. (Imagine what happens if you include a spring in your recipe? A chocolate bar to make you bounce, of course!). Much more about fun with words and engaging children’s imaginations, than chocolate really, this event used theatre to bring people together. Families gathered around tables to design their own recipes and chocolate bar wrappers, tweaking and adding increasingly bonkers ingredients, until they were just right. Then, in it all goes at one end of the factory and out of the other end comes a unique, wrapped bar of their very own!